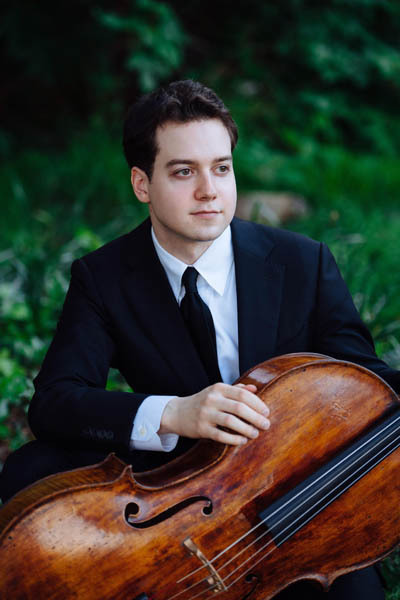 John-Henry Crawford, 25 year old cellist from Shreveport, LA, is a graduate of the Curtis Institute of Music where he studied with Carter Brey, Principal Cellist of New York Philharmonic and Peter Wiley, formerly of the Guarneri Quartet. John-Henry held the Nina and Billy Albert Fellowship at Curtis. He was accepted at age 15 and served as principal cellist of the Curtis Orchestra during his senior year. His is currently a scholarship graduate student of Joel Krosnick at the Juilliard School of Music in NY. He has also studied with Hans Jorgen Jensen and Andres Diaz. John-Henry gave his solo debut with the Philadelphia Orchestra as First Prize Winner of the orchestra’s Greenfield Concerto Competition. He received praise from The Philadelphia Inquirer, stating that he “projected polished charisma and a singing sound in Prokofiev’s Symphony-Concerto.” He was one of only two U.S. cellists selected worldwide to compete in the XV International Tchaikowsky Competition in St. Petersburg, Russia. 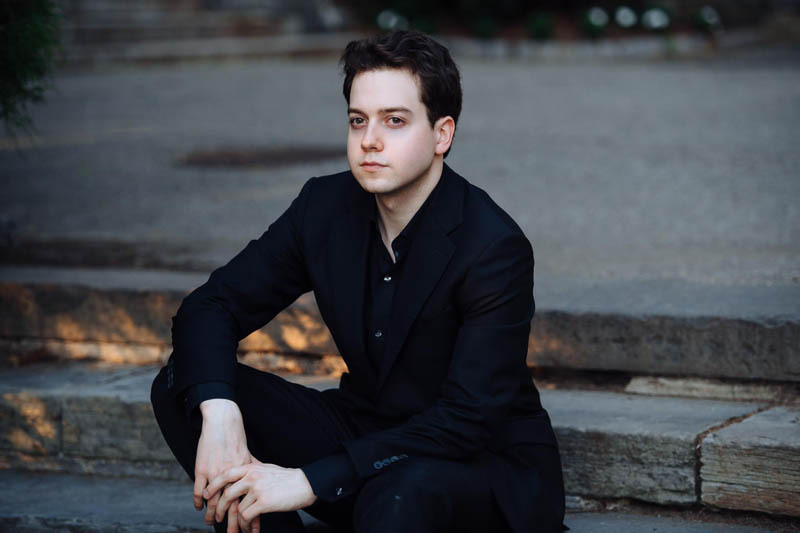 John-Henry was invited to give a solo recital on the International Concert Series of the Louvre in Paris, and in 2015 he won First Prize in Cello and Grand Prize at the American String Teachers National Solo Competition. He has performed the Beethoven Triple Concerto with the Memphis Symphony and the Dvorak Concerto with Shreveport Symphony. He has been featured twice with Christopher O’Riley on National Public Radio’s “From the Top” show, and has given concerts in 26 states as well as Canada, Switzerland, Germany, France, Brazil, Costa Rica, Belgium, and Mexico. Crawford has soloed with many orchestras, including the Louisiana Philharmonic, Rapides Symphony, Mesquite Symphony, and has been a prize winner in numerous competitions, including the Lynn Harrell Competition of the Dallas Symphony and Music Teachers National Association. He was accepted at the prestigious Verbier Academy in Switzerland where he studied with Ralph Kirshbaum, USC’s Piatigorsky Chair cellist and Torleif Thedeen, Scandinavian cellist and recording artist. His television performances have been on WHYY public television in Philadelphia, and he is included in the documentary “Maestro Movie.” He is interviewed and quoted in the best-selling book “The Talent Code” by Dan Coyle. John-Henry recently performed as a Young Artist at Music at Menlo where he worked with David Finckel and Wu Han, and also performed at the Schleswig-Holstein Festival in Germany, where he worked with Wolfgang Schmidt. This year he performed on the Argenta Music Series in Nevada entitled “Cello Bello” collaborating with cellists Clive Greensmith, Dmitri Atapine, and Mihai Marica. In January 2018 John-Henry will perform the Gulda Cello Concerto with the Shreveport Symphony. He was an active participant at the Kronberg Cello Masterclasses in Germany where he coached with Frans Helmerson. His summers have also taken him to Pinchas Zukerman’s National Arts Center Young Artist Program in Canada and the MusicAlps Festival in Courchevel, France. John-Henry was an artist fellow at Itzhak Perlman’s Chamber Music Festival, and at Music from Angel Fire in New Mexico. He performed the Brahms B-Flat Sextet at Boston’s French Cultural Museum in a chamber music concert with Malcolm Lowe, Concertmaster of the Boston Symphony, Edward Gazouleas, also of the BSO, Curtis President Roberto Diaz, and the Borromeo Quartet. John-Henry was also invited to perform at the Volkswagen Die Glasserne Manufaktur in Dresden, Germany. He performed on the Curtis on Tour series in Costa Rica, Mexico, and Brazil, collaborating with artists Soovin Kim, Roberto Diaz, and Jason Vieaux. In Pennsylvania he has performed for Temple Beth-Zion Beth Israel, The Union League, The Philadelphia Club, and Tenth Presbyterian Concert Series, the Reading and Pittsburgh Chamber Music Series. He was chosen to perform for Baron Hirsch’s Ascending Artists Series in Memphis, the Memphis Chamber Music Society, Deerfield Presbyterian Church Recital Series in NJ, Texas Street Arts Series in Shreveport, NPR fund-raisers for From the Top in Dallas, West Palm Beach, Princeton, and Wayne PA, and on the Marion Chamber Music Society series in Florida. He has played for or coached with such artists and teachers as: Lynn Harrell, Frans Helmerson, Gary Hoffman, Paul Katz, Ralph Kirshbaum, Pinchas Zukerman, Pamela Frank, Ida Kavafian, Ani Kavafian , Shmuel Ashkenasi, Lawrence Dutton, Michael Tree, Zuill Bailey, Shauna Rolston, and Amit Peled. His chamber groups have performed for the Emerson and St. Lawrence Quartet and at Lincoln Center Chamber Music Society Master Classes in New York. He has performed a wide spectrum of music ranging from early music as part of the Curtis Collegium, to John Adams, and Joan Tower with members of the contemporary music group Eighth Blackbird. John-Henry is from a musical family and performs on the 200 year old European cello smuggled out of Austria in 1938 by his grandfather, cellist Dr. Robert Popper. In addition to playing the cello he enjoys reading, swimming, and performing magic tricks.